The National Association of Casino Party Operators appoints Mike Sullivan, President of On the Go Casino® Parties in Phoenix, as Technology Chairman on the 2012-2014 Board of Directors. 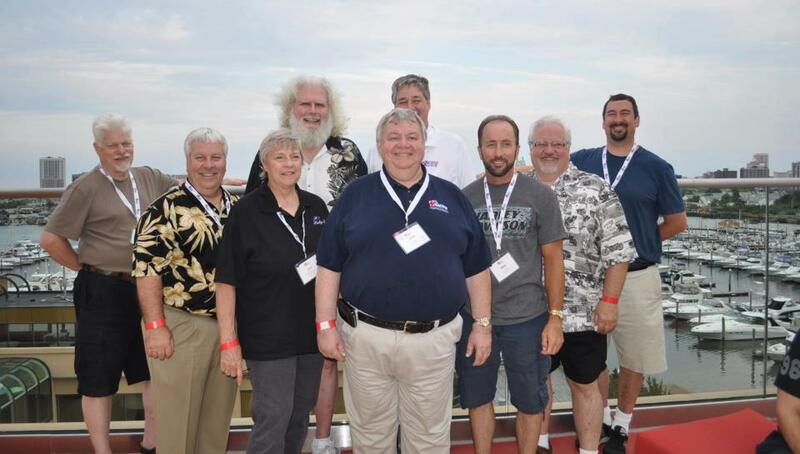 The new board was appointed at the 21st annual NACPO conference held at the Golden Nugget hotel in Atlantic City, NJ in late June 2012. Mike Sullivan, president of On the Go Casino® Parties since 1999, has been a member of the National Association of Casino Parties since 2008. The new NACPO board began their term at the 21st annual conference on June 25, 2012 and will serve through the 23rd annual conference in June or July 2014. NACPO - The National Association of Casino Party Operators, is a trade association of casino party professionals throughout the US and Canada. NACPO members hold themselves to the highest professional, ethical, and legal standards. For the best in casino party entertainment for your event, a NACPO member is "no gamble"! For more information regarding NACPO or to find a member in your area visit their website National Association of Casino party Operators or contact them info@nacpo.com. NACPO board members pictured below left to right: Front - Secretary/Treasurer Larry Hegre (Ace Casino Rentals), Past president Joe Massino (Massino's Casinos), Conference chair Geri Windecker (Lucky Lady Events), President John Ferry (PCI Entertainment), Technology chair Mike Sullivan (On the Go Casino), Parlimentarian Larry McKenzie (Uptown Entertainment & Events), Member chair Grant Thayer (Casino Productions), Back - Advertising chair Bernie Stevens (BSA Events), Vice-President Dan Ritter (Best Bet Casino Parties), not pictured - Bylaw/Ethics chair Kelsey Hatch-Brecek (Entertainment Warehouse).